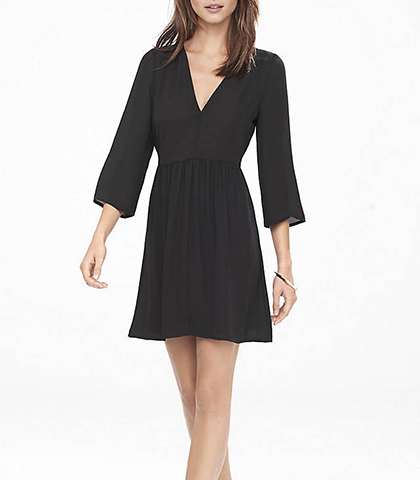 This women’s mini dress gives new meaning to the term, “little black dress.” It comes with an expertly fitted bodice that has a deep vee neck. The sleeves are three quarter length, graceful and full. The waist is elasticized and clearly defined. The semi-full skirt portion of this dress provides a lovely, feminine profile. This dress is machine washable in cold water and can be either line dried or tumbled dry on a low temperature setting. We are offering this pretty garment available for purchase in sizes Small, medium, Large and Extra Large.